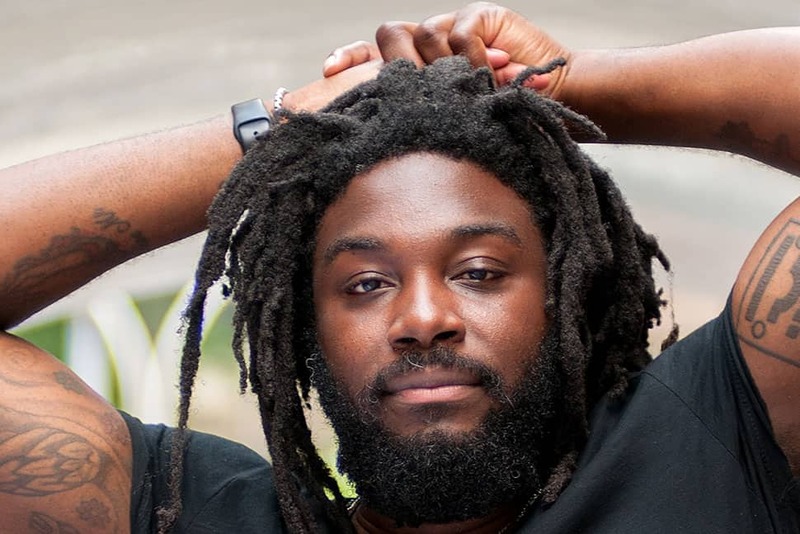 New York Times bestselling author Jason Reynolds has been writing poetry since he was 8 years old. 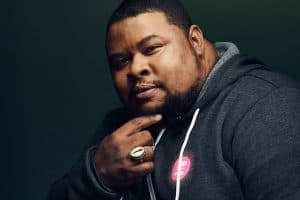 He fell in love with the art form when he first started reading hip-hop lyrics and liner notes, and he moved toward novels after reading Richard Wright’s Black Boy at 17. Reynolds has written several YA and middle-grade novels that have earned the Newbery Honor, NAACP Image Award, and Coretta Scott King Author Honors, among others. He’s also the 2018 spokesperson for the American Association of School Librarians’ School Library Month. American Libraries caught up with Reynolds to talk about what he hopes to accomplish as this year’s spokesperson, the biggest misconceptions about teenagers today, and why school librarians should be showered with love. This year’s theme for School Library Month is “Making Connections at Your School Library.” You’ve said reading the lyrics to Queen Latifah’s 1993 album Black Reign changed your life and inspired you to start writing poetry. When students connect with and see themselves in the music, multimedia, and books they read, it changes their relationship with reading completely. How can authors, teachers, and librarians help students make those connections? I think one of the most important things we could do is implement more comparative conversation. Everything we do has been done, and will be done again, so why not figure out where the connecting points are? Shakespeare’s plays have thousands of children, so if we’re going to teach Shakespeare in a way that connects, why not actually connect it to references young people are familiar with. Take some of the videogames and find the Shakespearean themes (they’re there). The same goes for everything they love on TV, comics, anime—it’s all the same, but it requires us to stretch ourselves. We’ve seen it work. There was a teacher a few years back who taught Kendrick Lamar’s To Pimp a Butterfly in his English class and figured out how to make it relevant for the curriculum. We’ve worked really hard to compete with all the extra stimuli that holds the attention of young people, but that’s a fight we won’t win. Perhaps we should work with the new media to better engage. It doesn’t mean the book loses—it means we have to be more creative about how the book wins. What do you hope to accomplish as spokesperson for this year’s School Library Month? Honestly, the one thing is just to shower school librarians with as much love as possible. I think sometimes we underestimate the motivating power of acknowledgment. Other than that, I just want to use my voice to draw attention to the importance of the school library, especially as so many school districts around the country do away with them. Your books cover heavy topics many teenagers face, such as grief and trauma, but they also include moments of joy and laughter. What would you say is the biggest misunderstanding about teens today? That they don’t care. That they’re apathetic. But that couldn’t be further from the truth. There’s this strange theory that kids are larval, that they are these half-created things that we are supposed to irrigate and grow. And though I do believe it is our job to nurture them, I think it’s also dangerous to consider whoever they are in this moment as undone. They are whole. Which means that they have all the emotional corridors that adults have. They laugh and cry and fear and fight. They are both magnificent and maddening, like every adult I’ve ever known. The biggest difference is, they still believe—especially with the right people around them—in possibility. You’ve found inspiration for your books from growing up in Washington, D.C., in music and poetry, in working different jobs such as in retail and in a hospital. How can students find inspiration for their writing and find their voice as writers? Listen to everyone. And listen to no one. That’s it. The number of kids who read for fun decreases sharply at around age 8. And it can be hard to find motivation to read in the summer, resulting in the “summer slide.” How can kids become more motivated to read for fun? Social book clubs could be cool. Kids love to do things with their friends. We could take book clubs out of rooms and instead turn them into destinations, like theme parks, etc., where perhaps we read a chapter together and then go get on roller coasters, or we read over pizza, or we read before we head to the basketball game. Perhaps a social element should be tacked on. Perhaps reading should have more of a social element to it, in and of itself. We have teams for everything else. Why not books? There’s currency in cool. So reading has to be made cool. And one of the best ways to do that is to attach it to things that already are. What has been your favorite book this year? What’s your favorite book of all time? Too hard of a question. But I will say that I loved Tradition by Brendan Kiely and The Belles by Dhonielle Clayton (technically last year), which, as someone who doesn’t read fantasy often, I thought was super creative. Of all time? Hmmm. I just can’t choose. But it’s probably something by James Baldwin.